For the first post in this series, I invite you to take a peek at my library. What types of books do you gravitate to in order to buy? I’ve never settled on one genre I like most. I tend to bounce around, deciding with each purchase what I feel like reading at the time. Sometimes that’s classics, sometimes horror novels, and sometimes a random book that had a book cover or great design I liked. Read the essay “Just so You Know” by Sarah Addison Allen, and you’ll understand the motives behind most of my book-buying ventures. 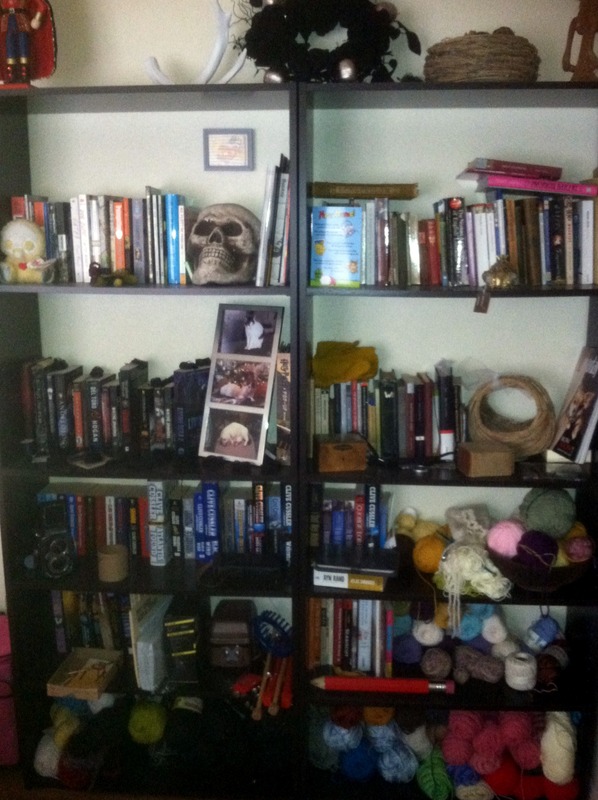 In the past, I’ve organized my collection by color, genre, and alphabetically. In our last move, though, I just put all the books up. 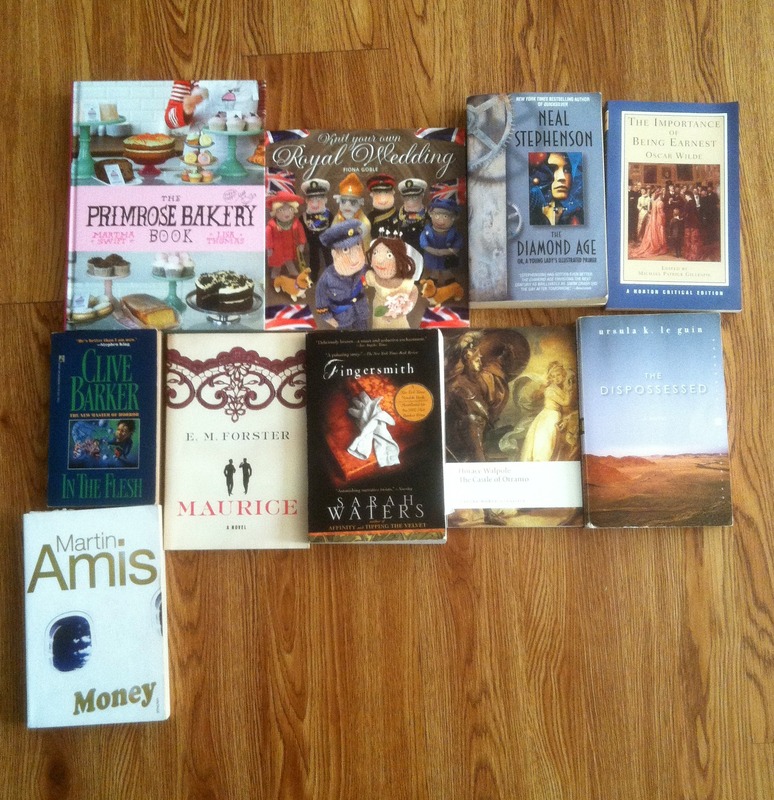 Classics, books I will never read, and contemporary books are generally in their own areas. Other than that, I have no order at all. 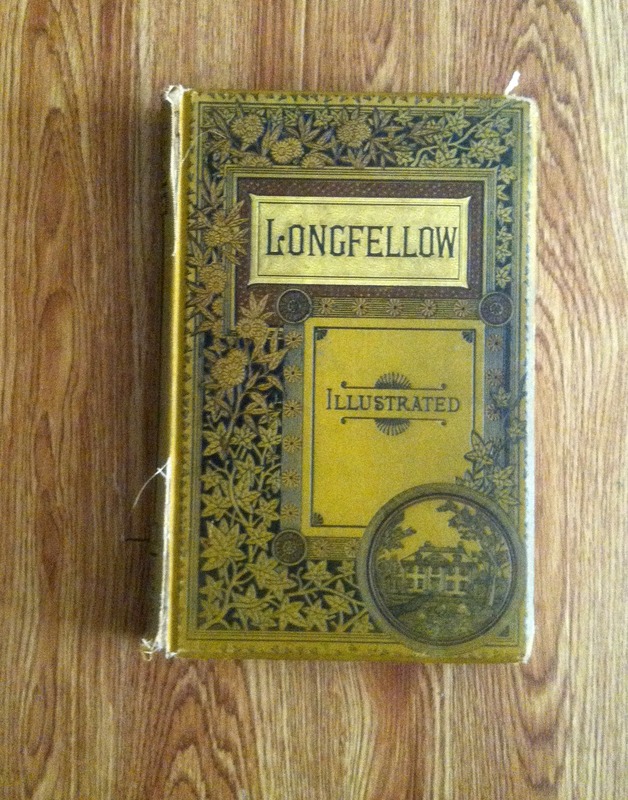 My oldest book is an 1884 illustrated poetry book by Henry Wadsworth Longfellow. I was exploring London when I came across this book. It’s beautiful but in bad condition. It doesn’t often leave the shelf as I’m afraid it’ll become more damaged. 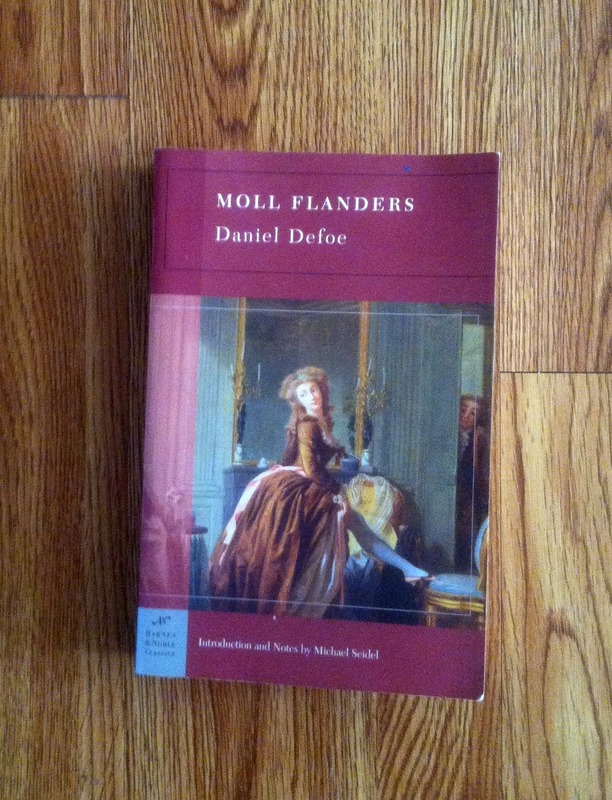 I’ve read Moll Flanders by Daniel DeFoe about six times. I read it five times for five different literature classes and once on my own. I never reread books. After a first read, if I need it for another class, I usually just look up summaries to reacquaint myself with the plot and characters. However, I always felt I had to go back through the whole story with this one. I find new characters, new scenes, or new details that jump at me from the page. Hands down, my favorite, most-loved book is Maurice by E. M. Forster. It’s the perfect love story, in my opinion. Maurice was published in 1971, after Forster had passed away, but it was written around the 1910s. Semi-autobiographical, the story follows Maurice as he struggles to define himself in a restrictive pre-WWI society and as he searches for love. It’s one of the very few books I’ve given serious thought to revisiting. What percentage of the books you own have you read? I have probably read 35-40 percent of the books I own, maybe less. I think it’s good to not only keep books I have read but also keep those I hope to read. I also keep books I will never read and those that I hated. I figure each book will come in handy for something someday. What are your top 10 books in your collection? The Primrose Bakery Book by Martha Swift and Lisa Thomas: I love baking, and as my husband is from England, I can make him a lot of the baked desserts he sometimes misses from home. Knit Your Own Royal Wedding by Fiona Goble: My mum-in-law sent this to me around the time Prince William and Kate Middleton got married. I haven’t knit up any of the patterns yet, but it is too funny not to include. The Diamond Age by Neal Stephenson: This is one of the few books I went back to finish reading after my science fiction literature class was over. The Importance of Being Earnest by Oscar Wilde: Oscar Wilde’s hidden jokes and wit never cease to entertain me. I’ll read anything by him. In the Flesh by Clive Barker: This is one of the only books I count as a favorite even though I have never read it. I’ve enjoyed Barker’s other works, but most importantly, this is the one I got it signed by the author last year. Fingersmith by Sarah Waters: Sarah Waters is one of my favorite authors. While reading this book in particular, I almost forgot to breathe. The Castle of Otranto by Horace Walpole: This book has so much gothic going on that it is hilarious. The Dispossessed by Ursula K. le Guin: Back in that science fiction class, this was the only book I made sure I finished on time. The world le Guin creates is absolutely magical. Money by Martin Amis: One of the few books that for no reason, I just enjoyed.